First Patreon milestone goal reached! And a word about Book 2! The first milestone goal in the Patreon project has been reached! Because funds are collected at the beginning of the month, the leaderboard ad will be disappearing for the month of February… and hopefully for every month thereafter (assuming nobody cancels, of course)! In the meantime, of course, more patrons are welcome. I’m totally excited that we’re raising as many as we are, and I’d be perfectly happy if we don’t raise much more than what we have right now — but would love for the site to be completely ad-free! 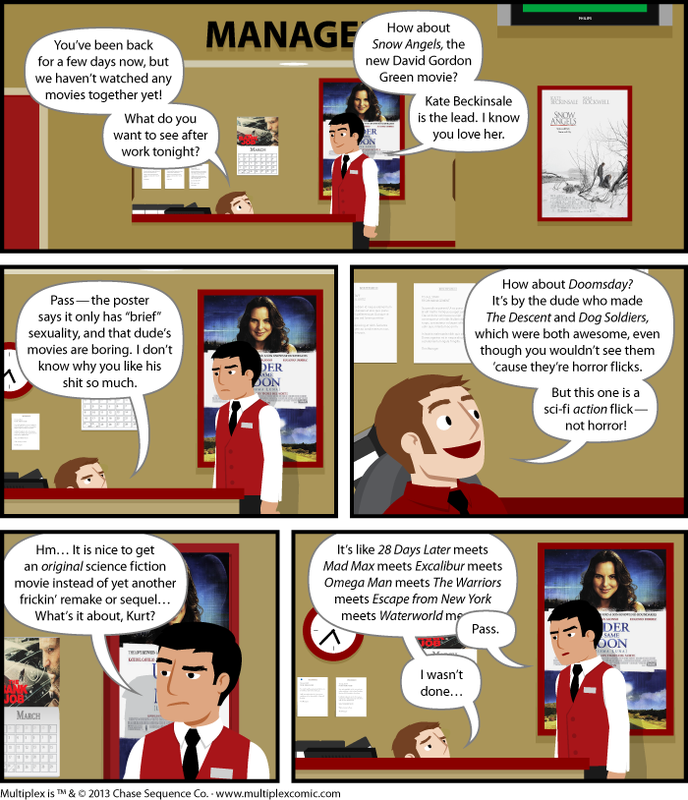 In the patrons-only Activity Stream, so far there are a handful of comics that only Book 2 (Kickstarter/PayPal) backers and Patreon patrons can read, with Jason reviewing a handful of movies. There will be more stuff soon, too — sketches, more review comics, and the first Google Hangout! Thank you VERY MUCH to everybody who has signed on to support the strip so far! Posted in Etc., Merch, Multiplex News, Site News | Comments Off on First Patreon milestone goal reached! And a word about Book 2! 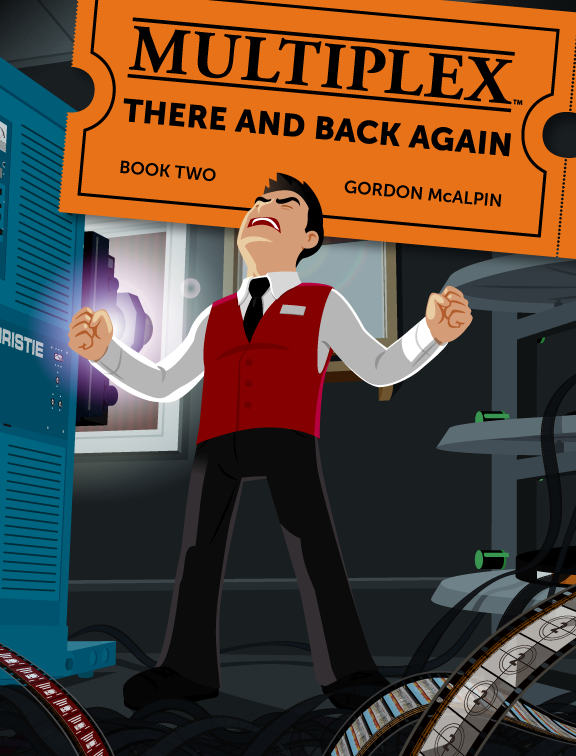 I finally broke through my artist’s block on the Book 2 cover, and so aside from some corrections and technical mumbo-jumbo left, Multiplex: There and Back Again is DONE. Finally. I’ll keep you posted when I have a better idea of when it will be published and available, but I’m hoping sometime this summer or early fall — things with the distributor take a little longer than if I were just self-publishing, unfortunately. Thanks are due to my friend Gene Ha for some invaluable suggestions on this cover concept!